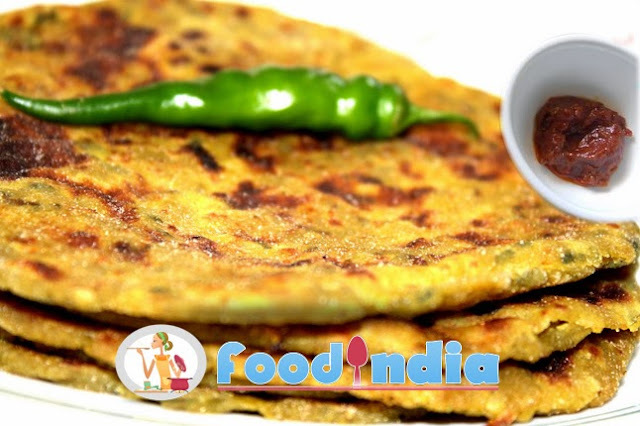 In the season of winter, all vegetables are available try some fresh and new Gujarati recipe called Methi Thepla. It made from Fenugreek leaves called methi and masala. You can try this with curd, tea, ghee, and lemon or mango pickle. Step 2: Keep dough 15-20 minutes aside covered. Step 3: Make small balls from dough, roll them and make round chapatti type. Step 4: Now take a frying pan, place thepla on it make it cook both the side. Step 5: Now apply little oil and cook, flip it and apply oil on other side to cook. Step 6: When thepla get brownish and cooked putout from pan. Make all thepla. Step7: Serve Methi thepla with curd, tea, ghee, and lemon or mango pickle. If the dough is tougher then add 2-3 spoon of water.